Beginning her playing career in her teenage years, Graf competed in the national Championships in the early 1980’s before debuting in the WNBL with the Nunawading Spectres at just 15 years of age. Playing alongside the likes of Michele Timms and Robyn Maher, Graf helped the Spectres become the league’s first dynasty as they claimed the Championship in 1983, ’84, ’86, ’87 as well as in 1988 when the team lost just one game for the year, finishing with an overall record of 23-1. 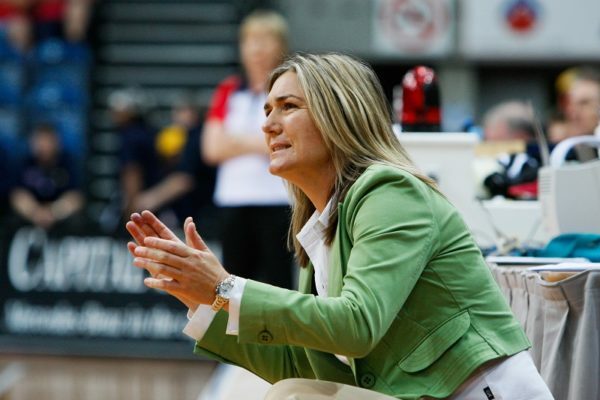 A natural leader, Graf then transitioned into the coaching realm as she led the Sydney Flames to their first ever Championship in 1993 when they also lost just one game for the year, defeating Perth Breakers by a point in the Grand Final. Sydney never dropped below second place on the ladder during Graf’s tenure and finished Runners-Up in 1996 while Graf owned a 67-12 record during her four years at the helm. Returning to the WNBL in 1999, Graf took over the Canberra Capitals head coaching role where she inherited a team that had not played finals in seven years. 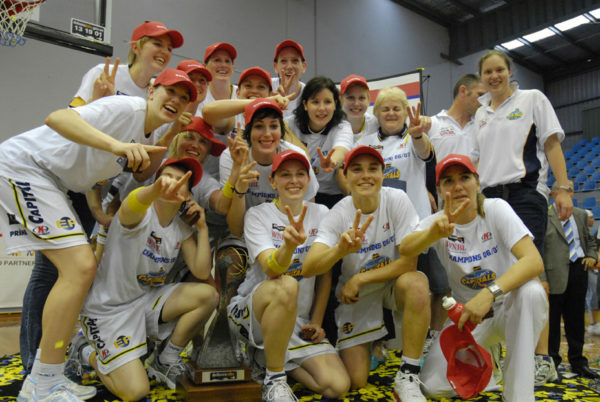 Her arrival, along with Lauren Jackson’s, was met with instant success as Graf’s Capitals defeated the Adelaide Lightning to win the 2000 WNBL Championship. She created another WNBL dynasty with the Capitals, reaching the Grand Final the next year before claiming the title in 2002. 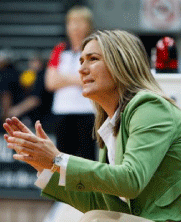 Graf won further Championships with Canberra in 2006, ’07, ’09 and 2010 while being named the WNBL Coach of the Year in 2007 and 2008. During that time, she juggled commitments with the Phoenix Mercury in the WNBA where she was an assistant coach in 1998, ’99, ’01 and 2003 before earning the head coaching role from 2004-05 to become the first female Australian coach in the WNBA. After more than 15 years in coaching, Graf called time on her career last year but finished as the WNBL’s all-time leader in wins for coaches while also earning Life Membership for her services as a player and coach. On the international scene, Graf represented the Australian Opals in 212 games- 156 as an assistant coach and 56 as head coach. As an assistant coach she was a part of history when the Opals broke through for their first ever Olympic medal, a bronze in 1996 at the Atlanta Games. Graf went on to be a major factor in one of the Opals’ most successful period as they won another bronze medal at the 1998 World Championships and a silver medal at the 2000 Olympics. In 2010, Graf was appointed as head coach of the Opals and took the team to fifth place at the 2010 World Championships before winning the bronze medal at the 2012 Olympics with a team featuring Jackson and fellow 2017 Hall of Fame inductee Kristi Harrower. In addition to her WNBL Coach of the Year awards, Graf received the Young Coach of the Year award in 1993 and 1996, the High Performance Coach award in 1996 and was the recipient of the Australian Sports Medal in 2000. Graf will be inducted alongside four other icons into the Australian Basketball Hall of Fame on October 27. The Gaze Family, Maher Family, Sandy Blythe and Sue Hobbs medals will also be awarded at that function to the most outstanding members of the Australian Boomers, Opals, Rollers and Gliders respectively.